A new cultural center to honor the memory and work of Icelandic Nobel laureate Halldór Laxness (1902-1988) appears to be in the pipeline. Halldór was awarded the Nobel Prize in Literature in 1955. At a government meeting Friday, the Icelandic government approved to begin negotiations with the owners of Jónstótt, the land west of and across the river from Gljúfrasteinn, where Halldór Laxness resided, with the aim of constructing a new Laxness cultural center there. Gljúfrasteinn is located in Mosfellsdalur valley, just east of Reykjavík. A task force, created at the end of 2016, concluded that the best site for the center world be at Jónstótt, and that it should be built in phases, according to the needs of the cultural center. It has been 14 years since Halldór’s former residence opened as a museum. The Icelandic State purchased the property in 2002, a century after the author was born. 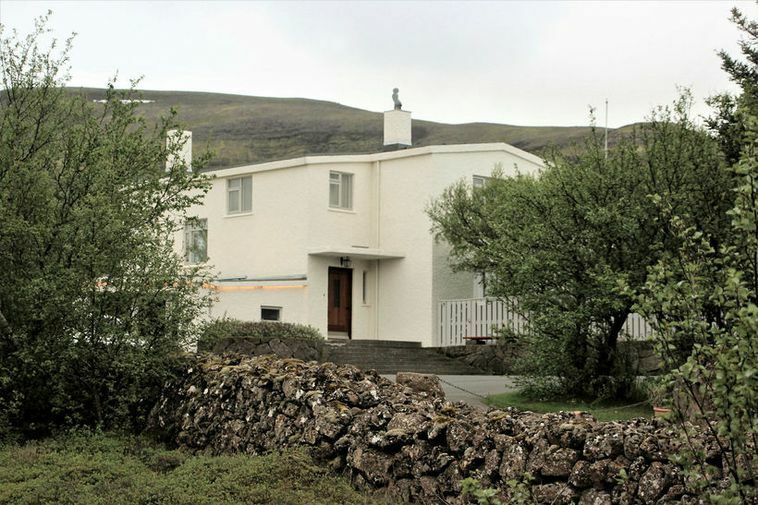 A statement, sent by the Ministry of Education, Science and Culture to Morgunblaðið, explains that from the start, the size of the house Gljúfrasteinn limited the possibilities of the museum’s operation. It goes on to say that the house in itself is a treasure, and that aside from some exhibits, all the museum’s operation have taken place there. As a temporary measure, the garage was used for reception, ticket sales and a museum store. Accommodations for staff were inadequate from the very beginning, and an office space was created the boiler room. The current exhibition at Gljúfrasteinn honors the memory of Halldór’s late, wife, Auður Sveinsdóttir. It opened on her centennial, July 30. She passed away in 2012.